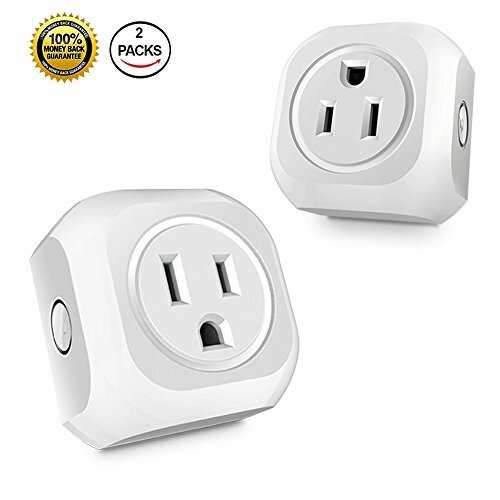 Wifi Smart plug works with alexa and google home, owning mini smart plug,wherever you go,your home is in your hand always.Smart wifi plug can remote control your home, monitor the electricity consumption with mini smart plug,switch or restart the appliance at regular intervals using the timing function of smart mini plug. 1.Search "Smart Life " on App store, or Scan the QR code on User Manual. 2.Follow the instructions to install it. Step 3: Configure mini smart Plug preferences on the " Smart life " App. Please install "Smart Life" app before setting up Alexa devices. Press the power button for about 5 seconds, blue indicator flashes, means the mini smart plug is on, enter into the distribution network mode. wifi smart plug works with your existing home Wi-Fi (2.4 GHz band) no need for a separate hub.